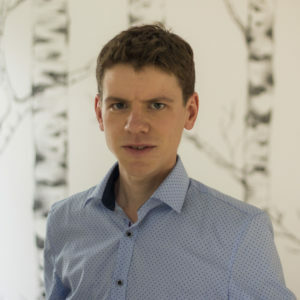 Matthias Vanhamel obtained his Master degree in Biology (specialization aquatic ecology, evolution and conservation) in 2012 at the KU Leuven in Belgium. After spending 4 months working as part of a scientific expedition in the rainforest of Peru, he started at the KU Leuven coordinating a European funded BiodivERsA-project with as main goal to study the effect of climate change and eutrophication on stability in aquatic ecosystems. In 2013 he was involved in organizing field campaigns and large-scale mesocosm studies which, in 2014, led to the start of his PhD aiming to study the relative importance of ecological and evolutionary adaptation in ecosystems under pressure. At this moment he is finalizing the last chapters. Using his expertise in microbial communities and experience with experiments involving organisms ranging from bacteria up to vertebrates, he is primarily involved at ARCHE Consulting in efficacy testing of biocides.